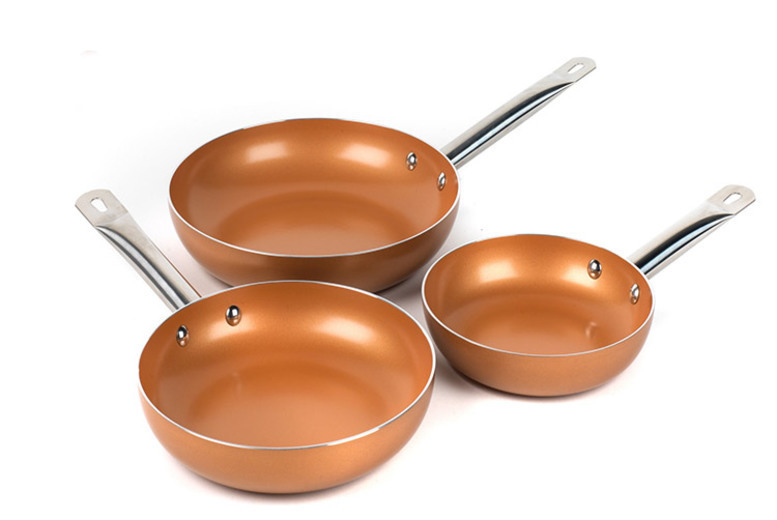 Get a three-piece Russell & Hobbs copper non-stick induction pan set. Includes three frying pans (measuring 20cm, 24cm and 28cm). Suitable for gas, electric, halogen, radiant ring and induction hobs. Easy to clean (not dishwasher safe). An essential set for any kitchen.